Hello Everyone!! Thanks again for a great parade!! I had a blast!! From my point of view this was the best parade that I have been part of!! Thank you for that!! We are getting better every time!! WOO!!! Special shout out to Dill Costa for making the dancing so beautiful!! Huge special shout out for Matt and Lindsay!! It is sad to say but that may have been their last 4th of july parade with EEDS!! Hopefully we will see them again!! We are meeting this wednesday to hang out at SRBCC and organize drums AND SHOWER MATT AND LINDSAY WITH LOVE!! Please come through. July 25th – 2-4 pm free workshop at The Wire (6815 Roosevelt Road, Berwyn, IL – 60402) and then evening show with Fatbook. I will be leading an open community workshop for all ages where we will cover some basics and learn an arrangement that we will perform with Fatbook that evening. More information to be announced. September 2nd – Tentative Start Date for Fall classes!! YES!!! September 13th (SUNDAY) – Streets Alive performance in Evanston. 1pm. September 20th (SUNDAY). Willy Street Parade in Madison, WI. 10:30 am. Perform with the Handphibians. 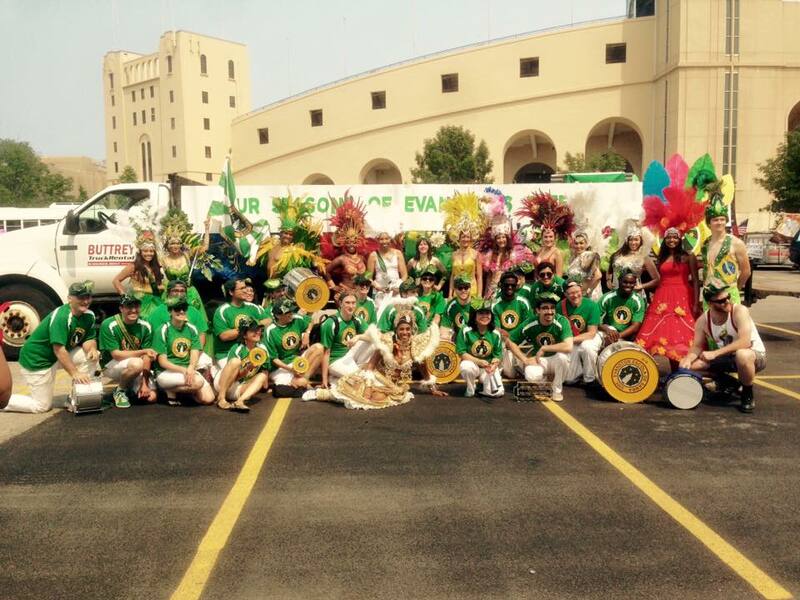 This entry was posted in 4th of July Parade, Uncategorized and tagged Note, thank you by Evanston Escola de Samba. Bookmark the permalink.